We stock Tens of Thousands of Used Pallet Supports At Any One Time & ready to ship within typically 48 hours! 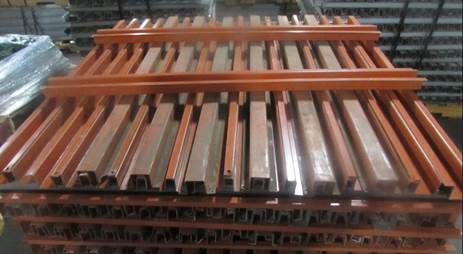 Pallet racks are primarily supported at both ends by the pallet rack beams. 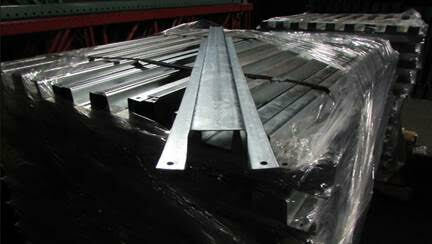 Pallet support bars provide secondary support to pallet racking systems. 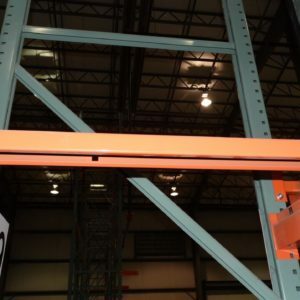 The waterfall pallet supports lay on top of the pallet rack beam and waterfall over the face. 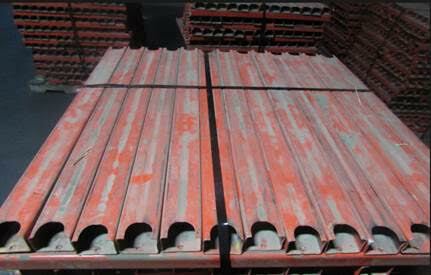 The bulk of the support is provided by the lower portion of the step of the beam. You can use a Tek Screw to fasten the pallet support to your pallet rack beam face by drilling through the vertical portion of the pallet support that wraps over the face of the beam. 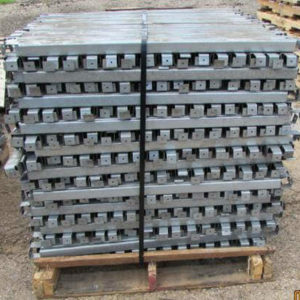 The (Hat Channel Pallet Support/Lay-in Pallet Support) type lays in the step of the pallet rack beam and is typically tek screwed in the step of the beam to hold it in place. 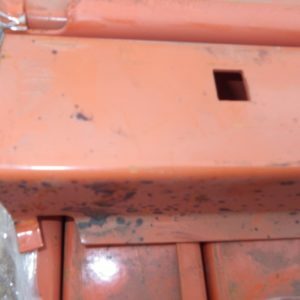 Note the small pre-drilled holes in the lip of the Hat Channel Pallet Support which enable you to easily attached it to your pallet racking system.